Dr Ian Arthur of Toormina Medical Centre, who is a keen bike rider, is once again participating in the “Tour De Rocks” cycle challenge this year to raise funds and awareness of cancer and to improve its management. 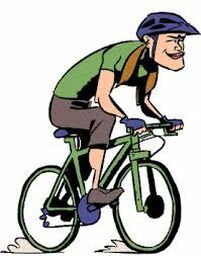 The Bicycle challenge involves riding from Armidale to South West Rocks over three days from the 24th to 26th April, we wish Dr Arthur well in the event. If you would like to make a donation towards the event please contact the medical centre.